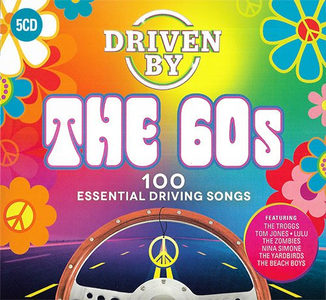 Driven By The 60s delivers 5CDs of 100 drivetime classics from one of the most popular eras of music. From America’s Motown artists like Marvin Gaye and the Supremes to our very own Lulu, Tom Jones, and Dusty Springfield; this collection is jam-packed with 1960 hits that will have you tapping the dash board and singing out loud. Take a trip down memory lane with Donovan, The Mamas & The Papas, The Beach Boys, The Troggs, Petula Clark, plus many more and be Driven By The 60s.